leaves are best harvested when young. leaves have a taste that ranges from dull to peppery. stems and flowers are edible raw. 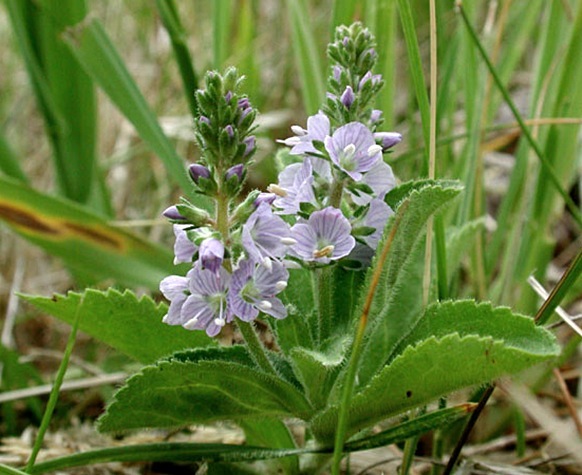 plant is high in vitamin C.
varieties in Ontario are American speedwell (Veronica americana), Common speedwell (Veronica officinalis) and Thyme-leaved speedwell (Veronica serpyllifolia). grows in meadows, steambanks, forested areas and disturbed sites. warning: avoid consuming plants growing near polluted water.